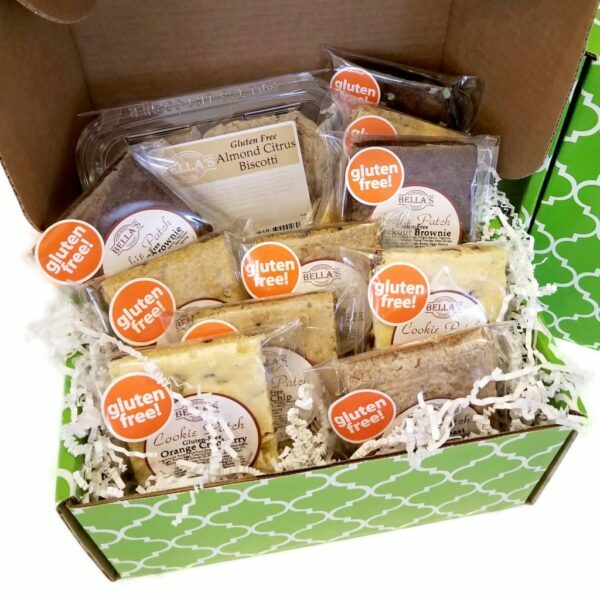 Enjoy all of Bella’s Gluten Free products with our Gluten Free Sampler gift box. 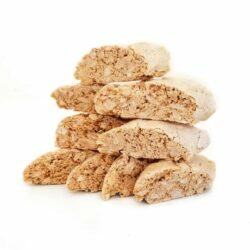 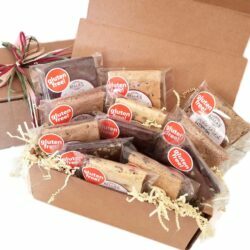 Included in this sampler is a box of Bella’s Gluten Free Almond Citrus Biscotti, along with ten (10) Gluten Free Cookie Patch Brownie Bars in six varieties: Mocha Chip Brownie, Blackout Brownie, Classic Blondie, Cinnamon Toast Cookie Bar, Orange Cranberry Cookie Bar, and New! 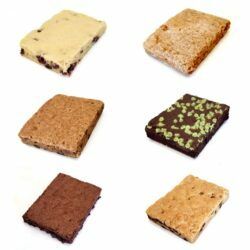 Mint Chip Brownie.